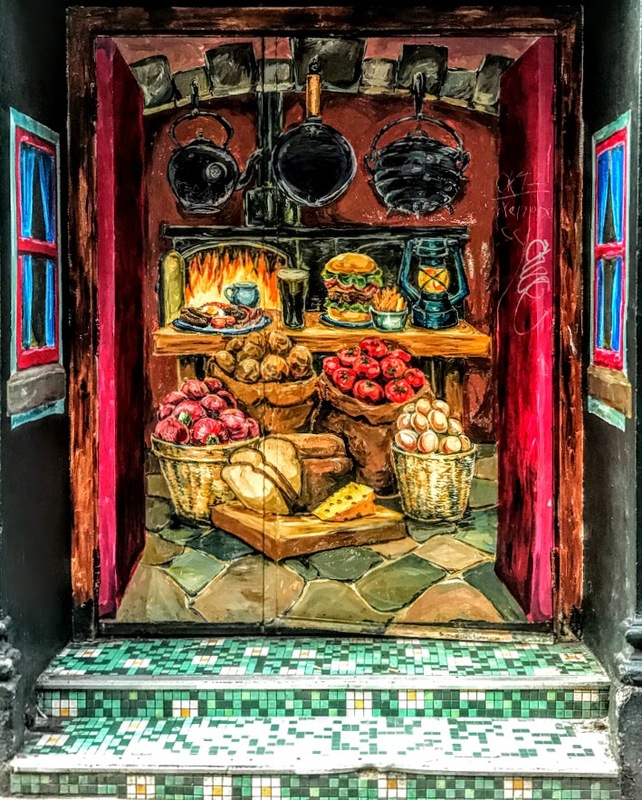 Many years ago, I read or heard a short story in which a man returns with his family to his home city in Ireland to spend a Christmas holiday with his brother and his family in what had been his childhood home. His brother is about to drive the family that now lives in England back to the airport, The man asks to drive the car as far as the airport, but loses his way through the one-way systems, roundabouts and street signs that have developed over the decades in what had once been his home town, and the family almost misses the flight. It is a frightening experience that wakes him to the present reality. Former home towns must be accepted as they are today. If we no longer know our way through a town or city, can we continue to call it home? On the way back from Howth or Skerries earlier this week, I became confused by the new one-way system in the city centre streets in Dublin, and in the dark of a winter evening I found it difficult to read the directions on the new street signs. I have written in the past that I feel equally at home in Dublin, Wexford, Lichfield and Rethymnon. We drove on south through Harold’s Cross, Terenure, and past the houses on Rathfarnham Road I had been born in and had lived for part of my childhood. 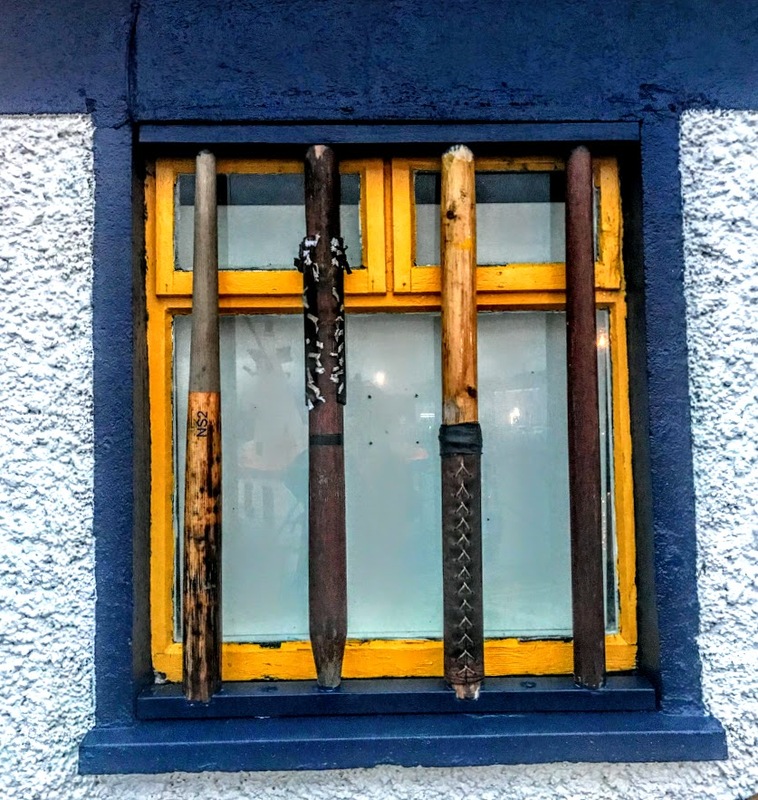 I wondered briefly whether, since moving to west Limerick almost two years ago, I was becoming a stranger in the city I had been born in. 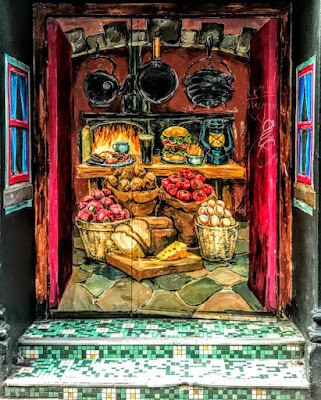 On Friday afternoon [28 December 2018], four of us had a post-Christmas lunch in Il Vicoletto in Crow Street. Two of us strolled around the Temple Bar area, like two tourists, viewing the cobbled streets and the street art. From there, we walked on up to Christ Church Cathedral, which had been my home church for many years while I was a canon in the cathedral chapter and a member of the cathedral board. Outside, it was interesting to see the number of tourists anxious to take photographs at the new stone labyrinth in the redesigned grounds of the cathedral. Funding from Dublin City Council and Fáilte Ireland enabled the redesign and landscaping of the grounds. 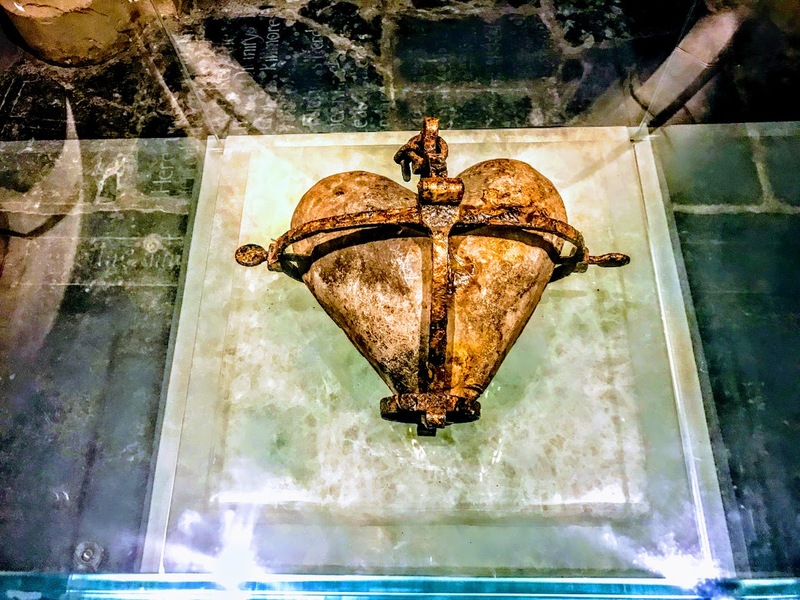 Inside the cathedral, we saw the heart of Saint Laurence O’Toole, which went on public display last month [14 November 2018] following an ecumenical service of dedication and thanksgiving to mark the return of the heart of the city’s patron saint. The saint’s heart was stolen from the cathedral in March 2012 from an iron–barred cage on the wall of the Chapel of Saint Laud, its resting place for centuries. Following a long-running police investigation, the heart was recovered earlier this year by the gardai after a six-year absence. Saint Laurence’s heart is now housed in the north transept in a specially designed art piece crafted by the Cork-based artist Eoin Turner. 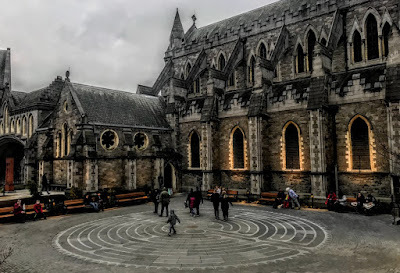 As i made my way back through Harold's Cross, Terenure and Rathfarnham to Knocklyon, I thought that fetting lost in a cathedral labyrinth and finding the heart of the city in the same cathedral were interesting metaphors for how I was feeling about Dublin before returning to Askeaton this afternoon. After this week’s breath-taking – if not shocking – short walk on the beach in Portrane, with the overwhelming sight of the impact of coastal erosion and climate change, two of us headed north to Skerries for lunch in Olive on Strand Street, and a walk along the South Strand and around the Harbour. 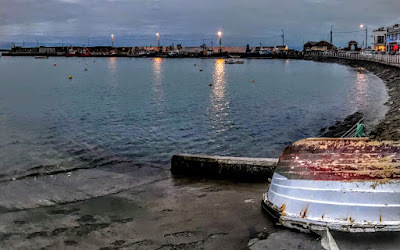 I was surprised when I looked back on my diary and blog postings to realise that it was exactly two years since I had been in Skerries, walked along the beaches and around the harbour, visited Olive, and browsed through the shelves of wine in Gerry’s supermarket. Browsing the wine shelves in Gerry’s is a pleasure best compared with browsing the shelves of a good bookshop. 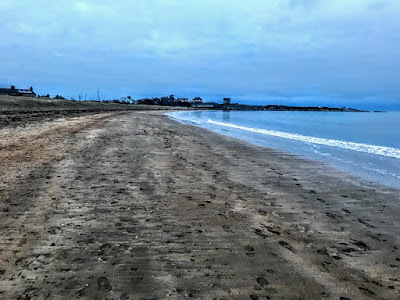 After buying two bottles of Italian wine, and a late lunch in Olive, we went for a stroll along the South Strand as dusk was beginning to close in and darkness was about to envelop Skerries. At the north end of the beach, we skipped in by the Sailing Club, and walked along the Harbour as the lights began to cast shimmering reflection on the harbour waters. I have often suggested in the past that with its choice of restaurants and coffee shops and its pretty harbour setting, Skerries has the potential to be the Kinsale of Fingal, and so was reassuring to see that a number of new restaurants and cafés have opened throughout the town in the past two years. Even on a dark mid-winter evening, there was a long queue for ice creams at ‘Storm in a Teacup’ on the harbour front. Beside this unique ice cream parlour, a once-abandoned building has been turned into new premises for Skerries Rowing Club, with recycled blades providing the colourful bars for a window. 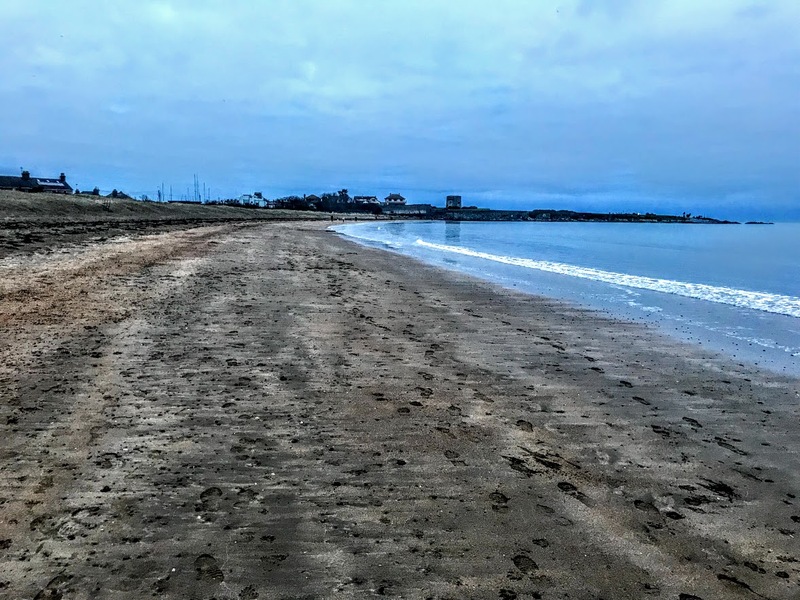 Since moving to Askeaton almost two years ago, I have missed my regular walks on the beach and around the harbour in Skerries, and missed these changes and developments. But I hope I never become a stranger here.